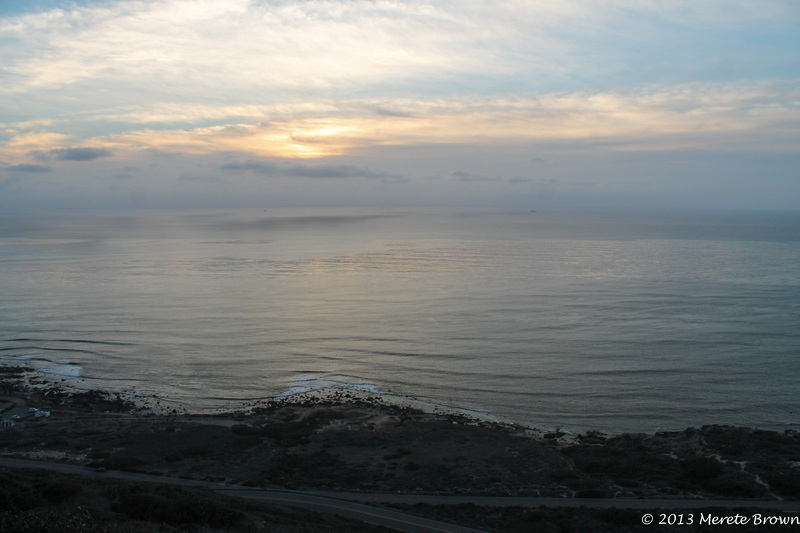 At the end of a long strip of land, called Point Loma, with the Pacific Ocean on one side and the San Diego Bay on the other, is Cabrillo National Monument. 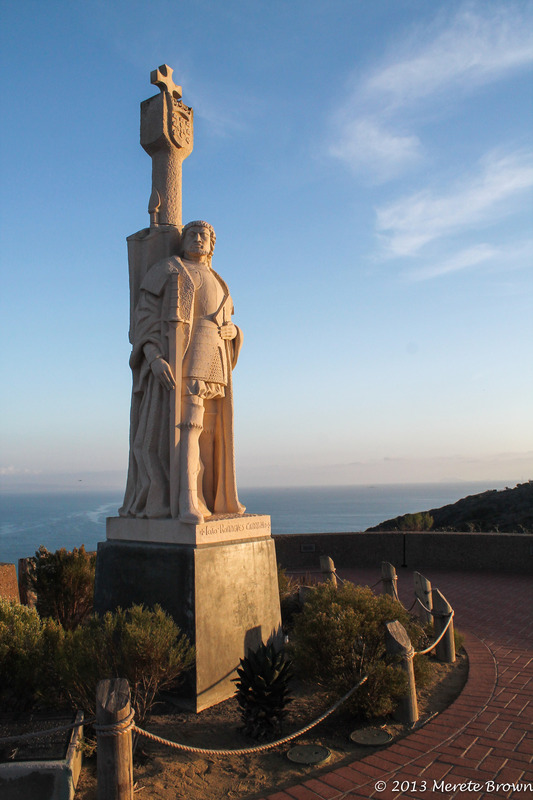 Cabrillo National Monument commemorates Juan Rodriquez Cabrillo, who led the first European expedition to what is now the west coast of the United States in 1542. 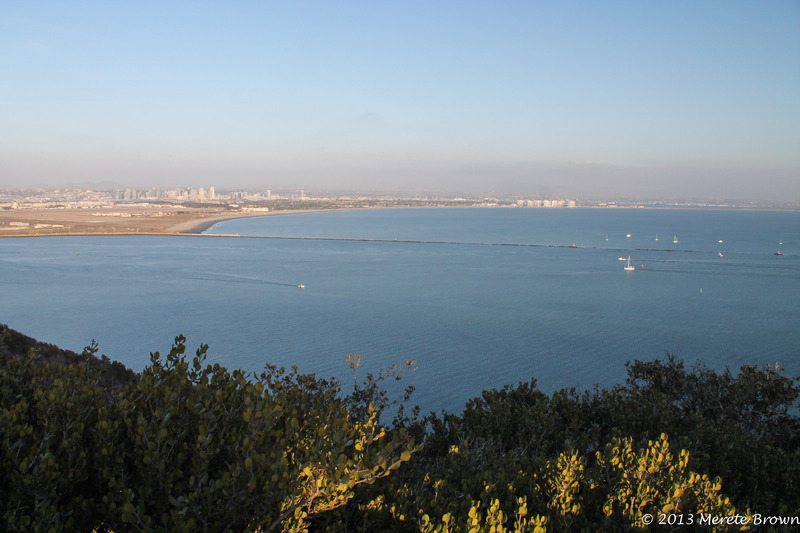 Three months after leaving the port city of Navidad, Mexico, Cabrillo sailed the San Salvador along with two other ships into the San Diego Bay, declaring the land for Spain. 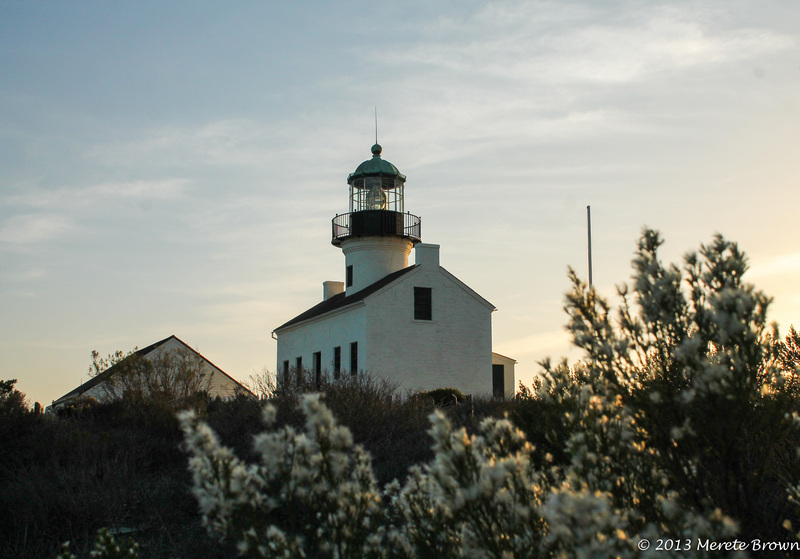 Although Cabrillo died during the expedition due to complications from a fall, historians believe that his crew sailed all the way up to present day Oregon before being forced to turn back to Mexico because of winter conditions. 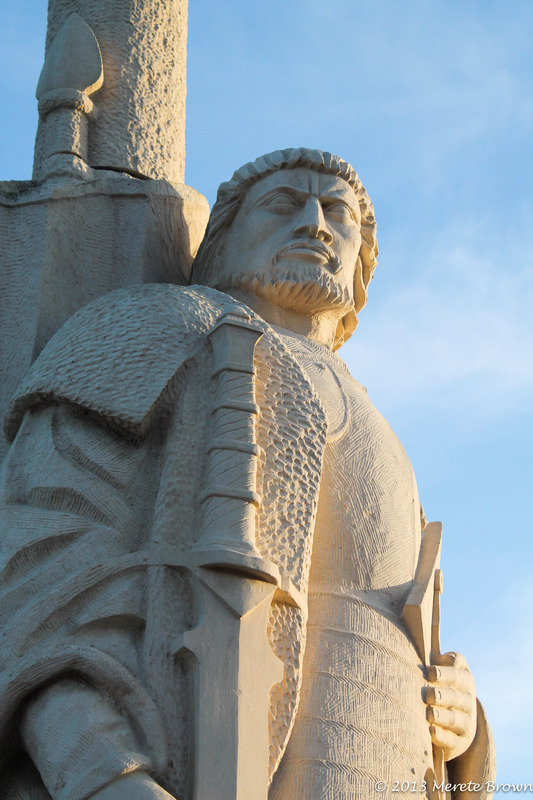 Today, the national monument serves as a historical reminder of the days of exploration and Cabrillo’s life. 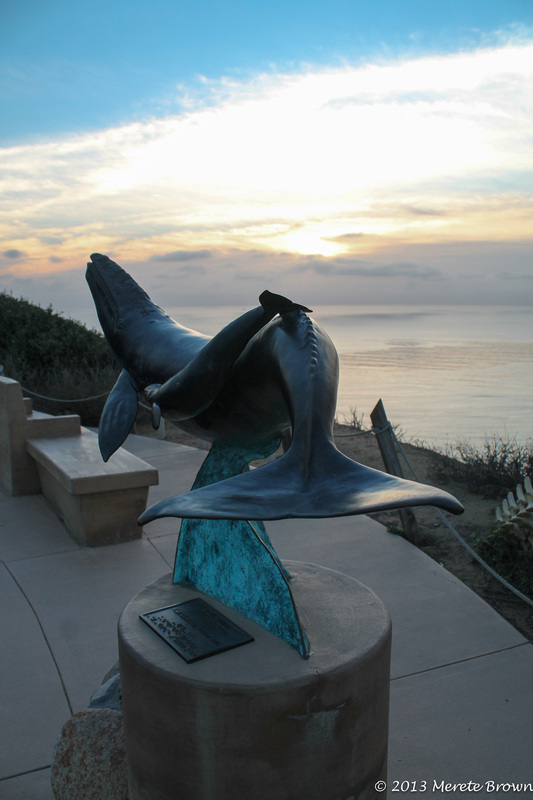 To learn more about Cabrillo’s journey, there are several exhibits and films detailing his life, located at the visitor’s center. 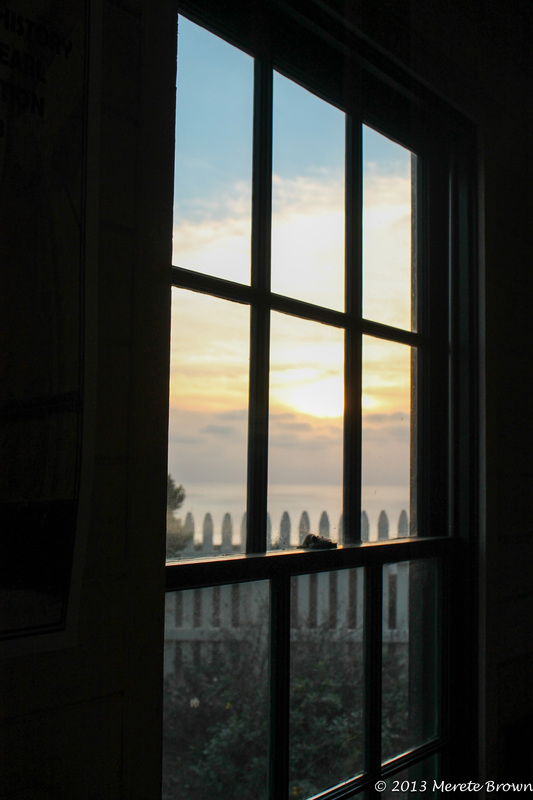 But even if you’re not into history, it’s a beautiful place to visit. 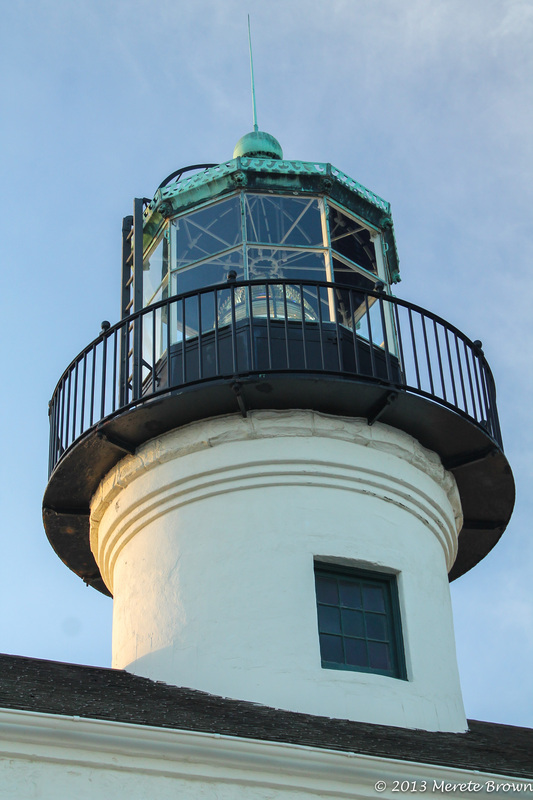 One of the most attactive features of the park is an iconic lighthouse, open to the public, that sits at the top of the hill. 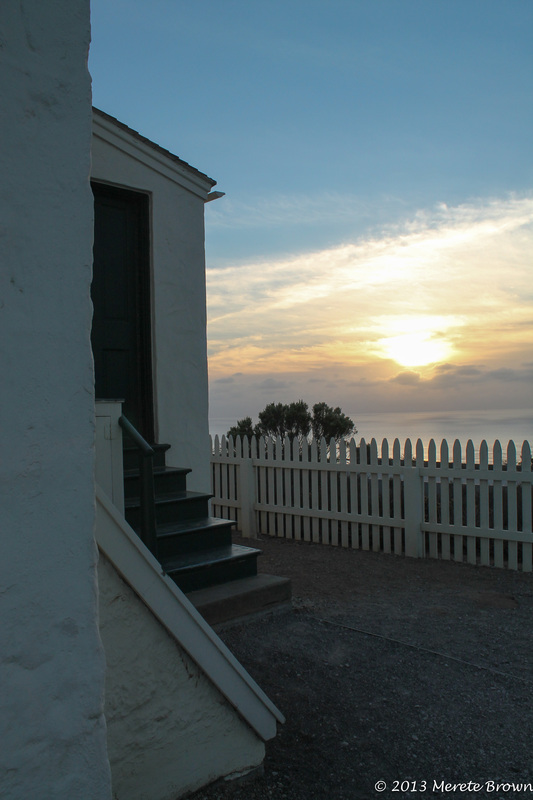 By taking a tour of the lighthouse quarters and surrounding buildings, you can explore what life was like in the 1800’s. 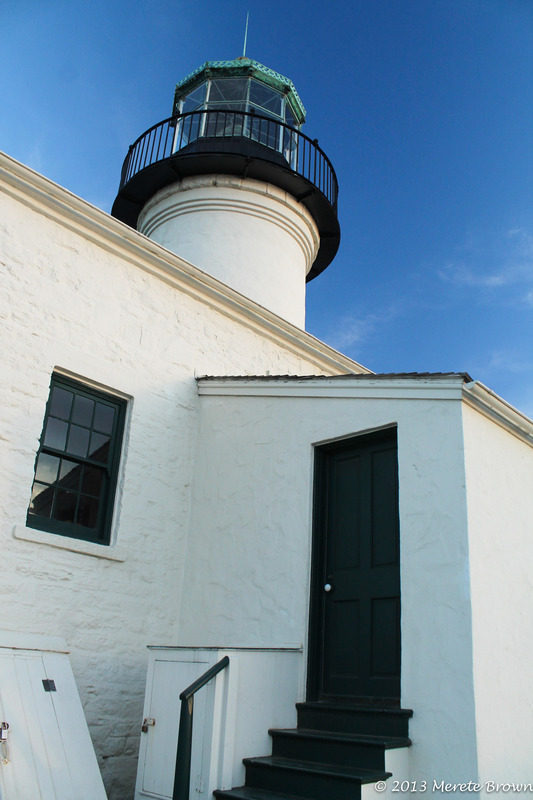 Unfortunately, the lighthouse tower is normally closed in order to preserve its structual integrity, but it is open two days out of the year on August 25th, the National Park Service’s birthday and November 15th, the anniversary of the lighthouse. 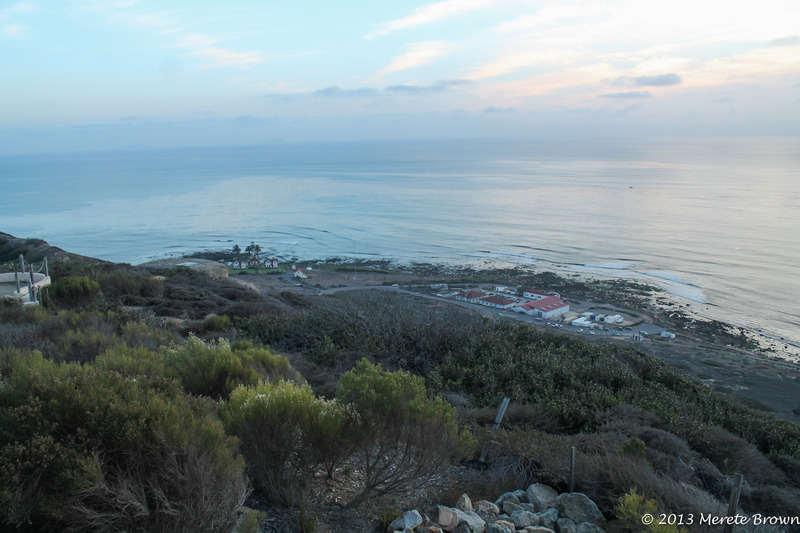 The Bayside trail and other pathways also twist around the point allowing for great vantage points of the city and the Pacific Ocean. 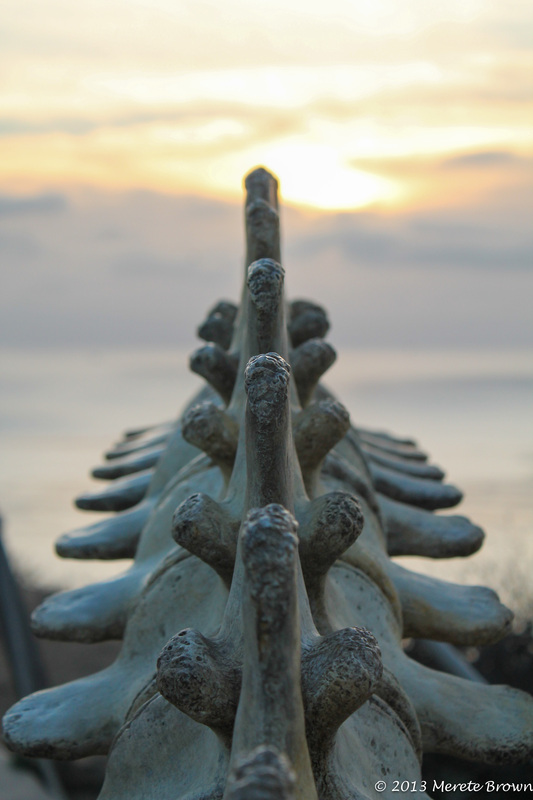 Some other fun activities at the park include tidepooling, which is best to do in the winter when the tides are the lowest and whalewatching from December to February. 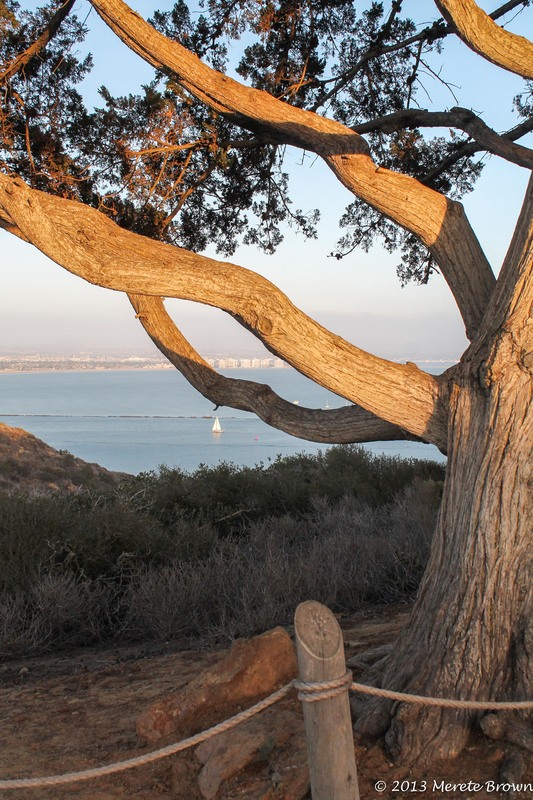 Gazing out towards the Pacific Ocean, it’s fun to imagine what the explorers, such as Juan Cabrillo, saw as they pulled into the harbor. 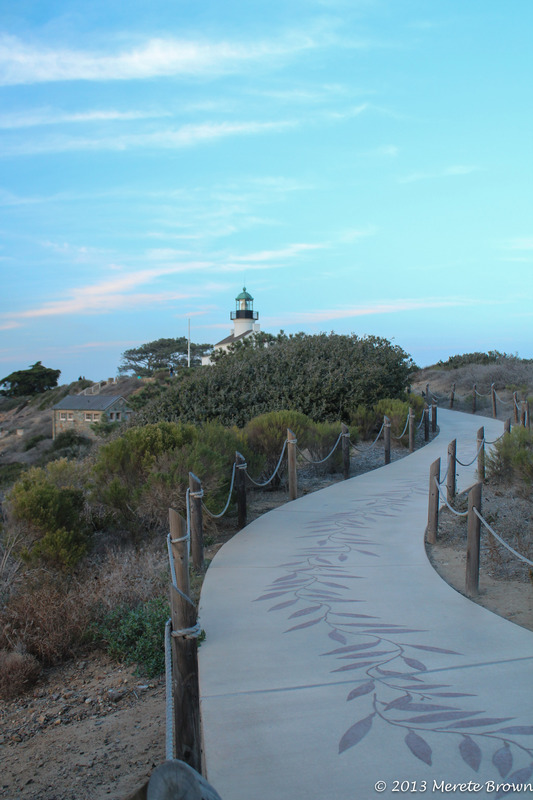 Although the days of exploration are long gone, Cabrillo National Monument provides a nice glimpse into the past and a great reason to escape the city. Does it cost anything to get into the park? 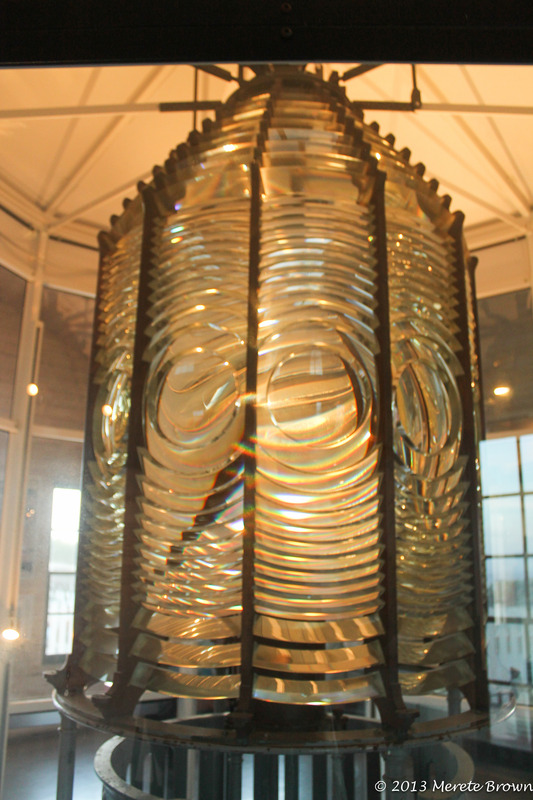 Yes, $5 but it’s free if you have an annual national park pass. 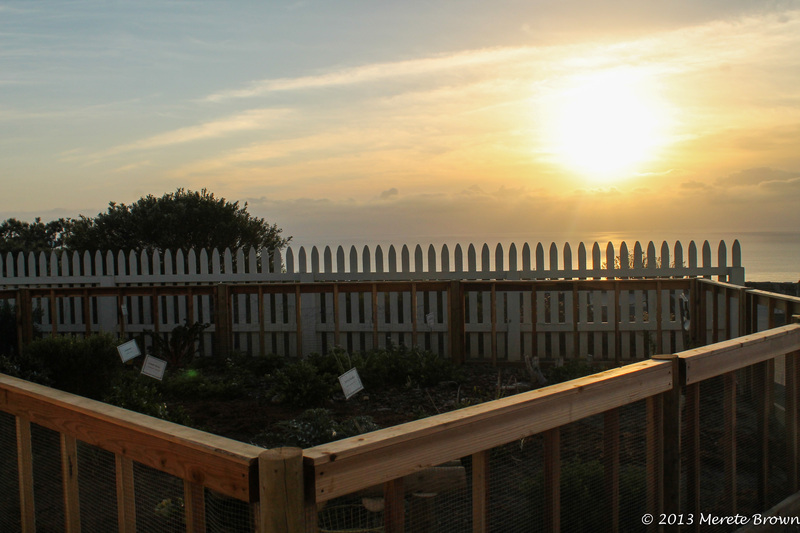 When was the park established? In 1913. This year just happens to be its 100 year anniversary of the park’s establisment! 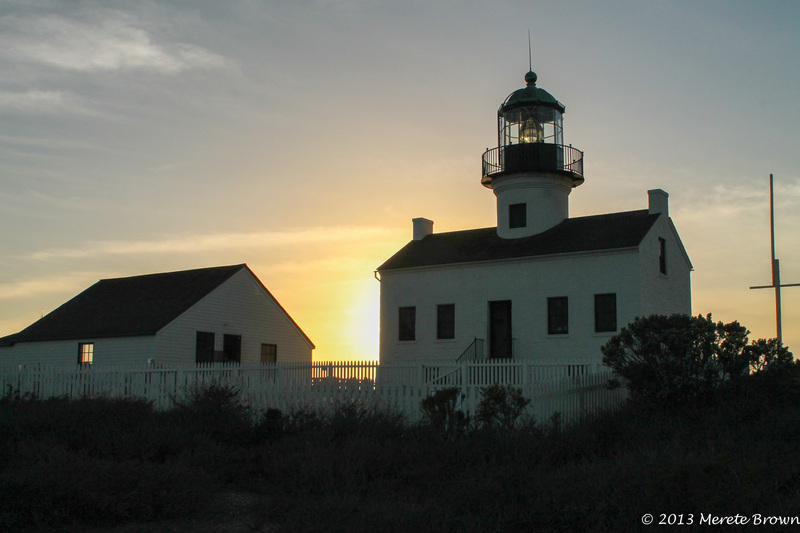 Do you need to drive through the naval base to get to the monument? Yes! 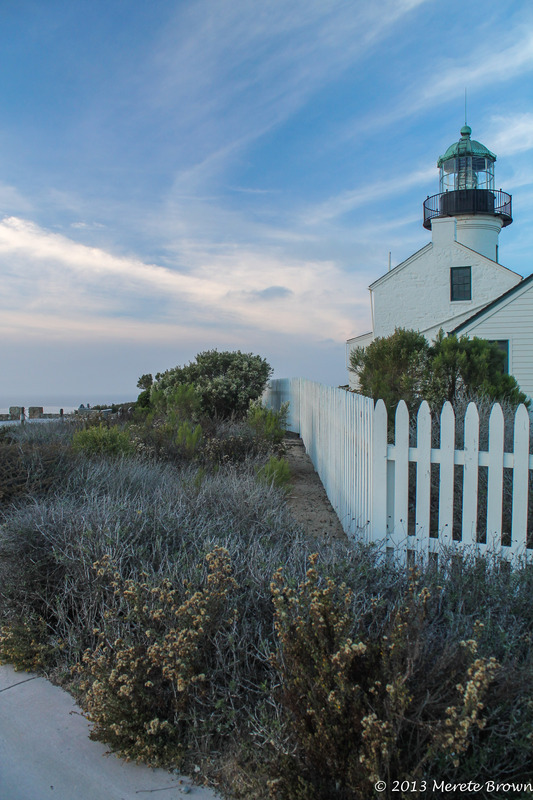 Don’t be detered by the signs when driving out to the point. 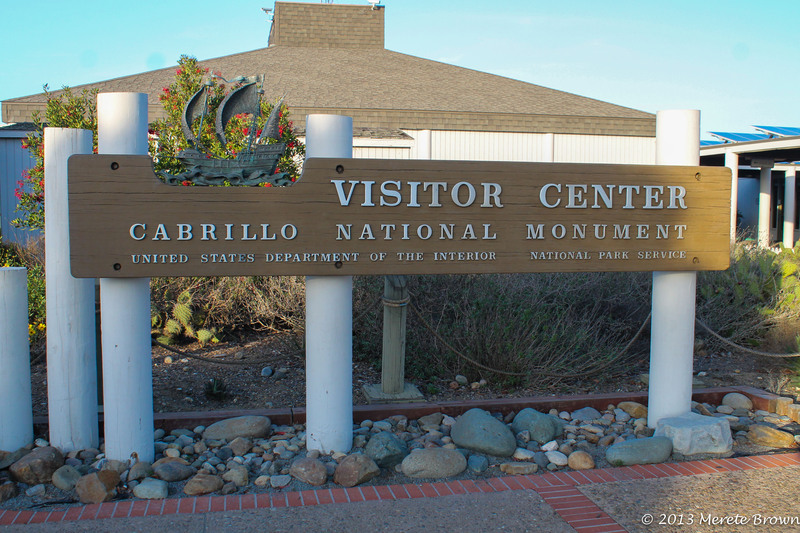 You will pass through the naval base before reaching the entrance to Cabrillo National Monument. Speaking of, how do you get there?